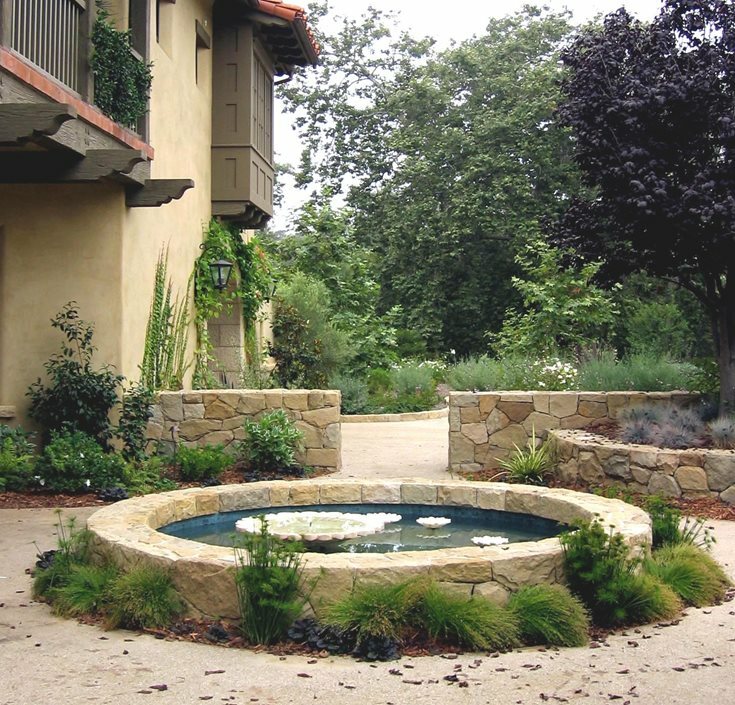 Garden Pond DesignBrowse photos and get ideas for creating backyard ponds. 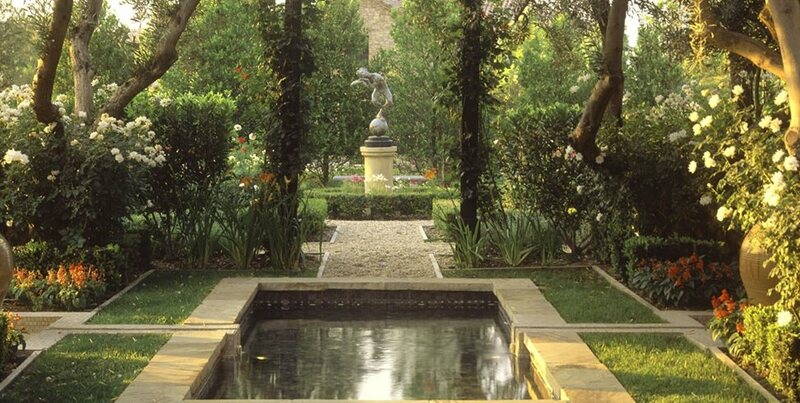 Garden ponds are alluring because they provide a tranquil and relaxing atmosphere. There's nothing better than the sight and sound of water in your own backyard. 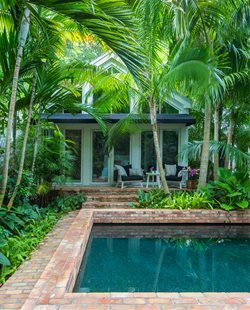 A well designed pond will turn your outdoor space into a vacation-like retreat, where you can get away from the busy world. With a pond, you'll be able to enjoy the sights and sounds of nature including unique plants, running water and possibly even some koi fish. 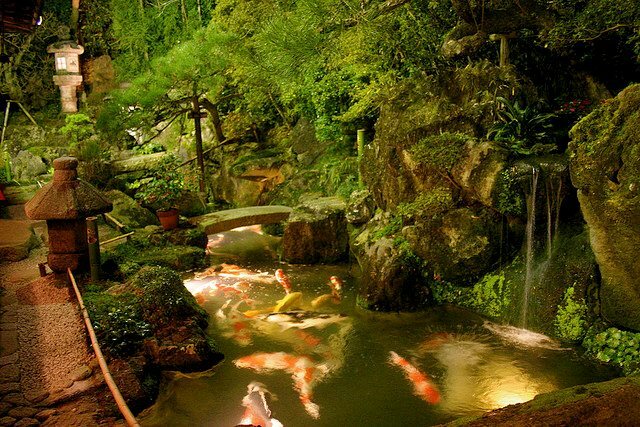 It's important that the design and construction of a garden pond are done right. 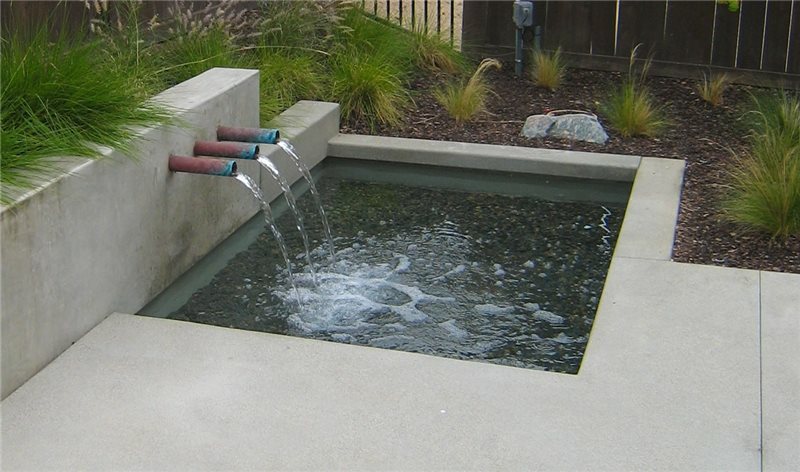 Due to lack of knowledge, homeowners often end up with a sloppy eyesore rather than a beautiful and relaxing water feature. 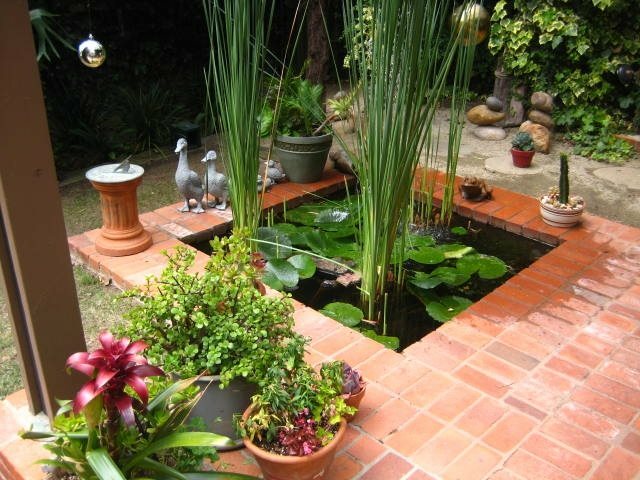 This collection of articles will help you get ideas for your own backyard pond and provide design tips. 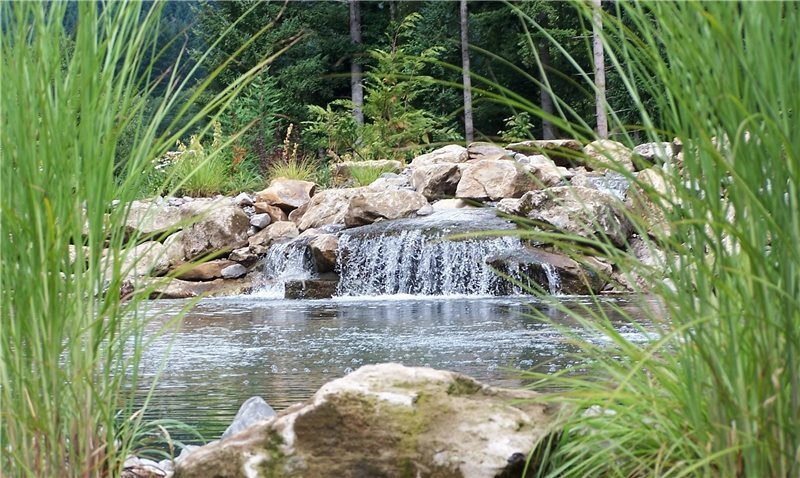 Familiarize yourself with the basics of pond placement and construction so that when you hire a professional you'll be able to work together to create an incredible pond. The main factors to consider when determining where to locate your pond, including the view from your house, sunlight exposure, and access to electricity and water. How to calculate the volume of water a pond will hold based on its depth and size. 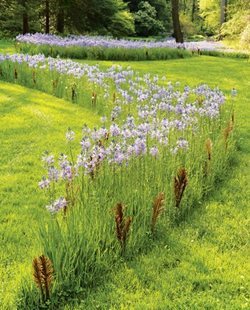 Why a larger pond, with a higher volume of water, will be easier to maintain than a small pond. The average price ranges for ponds, based on their size. 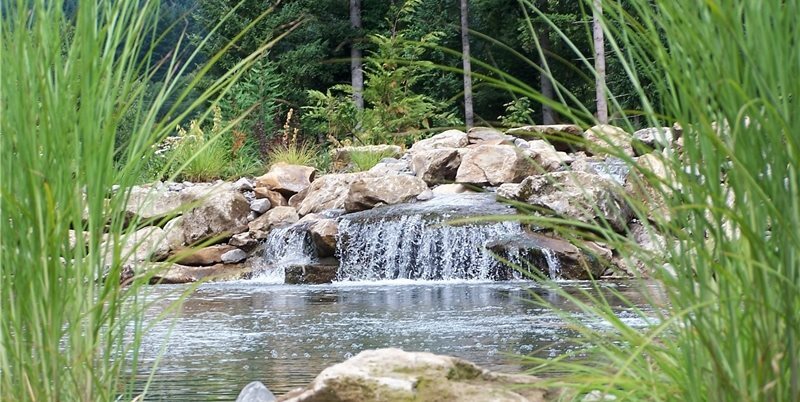 The main factors that will impact the final price of your pond. 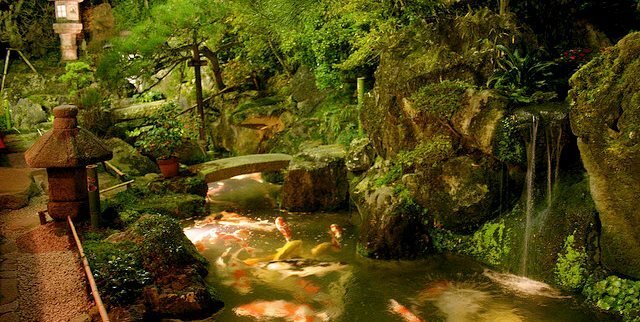 Design and maintenance tips for koi ponds, including size requirements, filtration, aeration, and water quality. 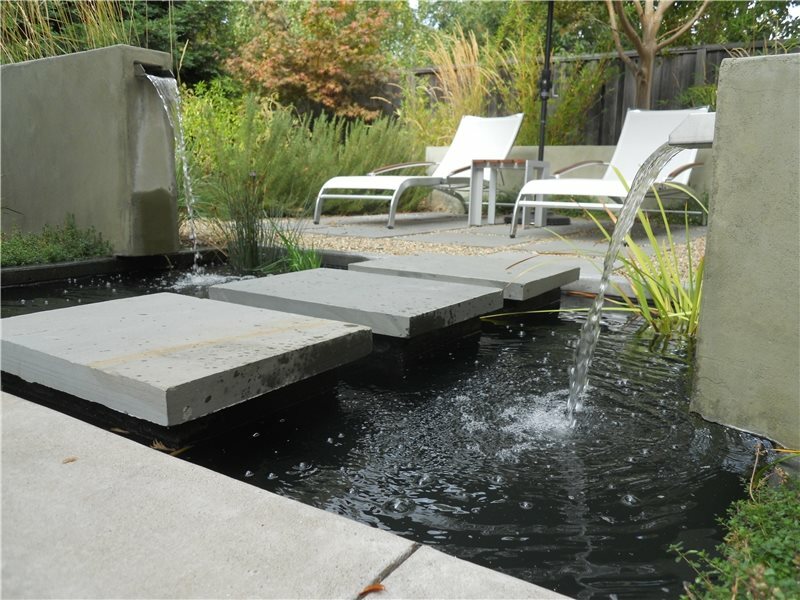 Ideas for contemporary pond designs, which are often characterized by straight lines, right angles simple materials and floating stepping stones. 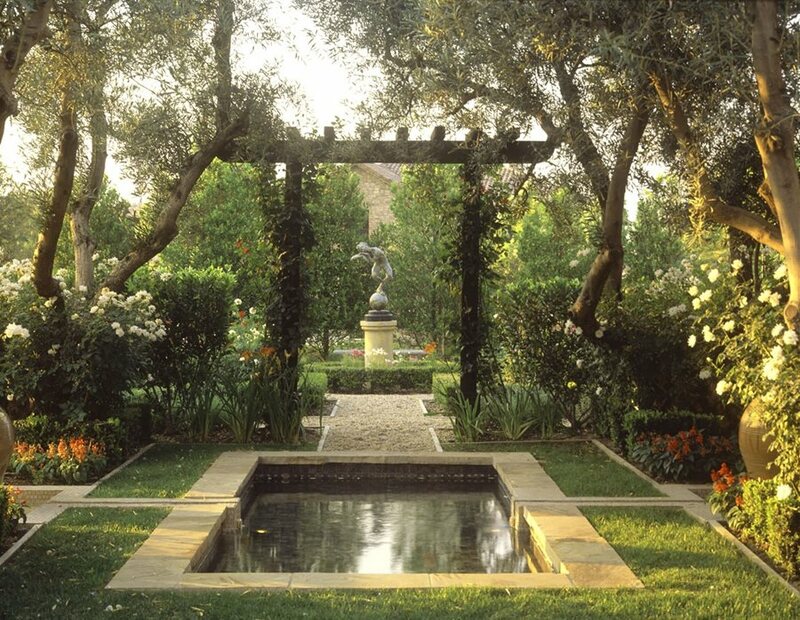 The best locations for formal pond styles and the most popular formal pond shapes and design features. 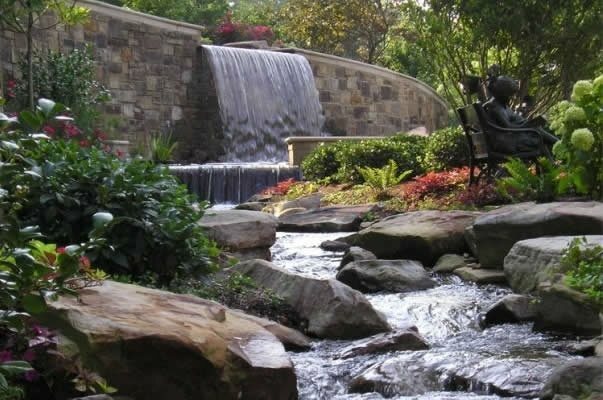 Ideas for integrating a waterfall into your pondscape to provide sound and movement. 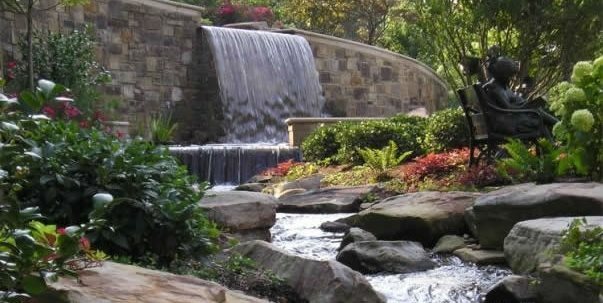 The most important factors to consider when designing a waterfall, such as keeping it in scale with the size of the pond and building it on a slope to achieve a more natural look. 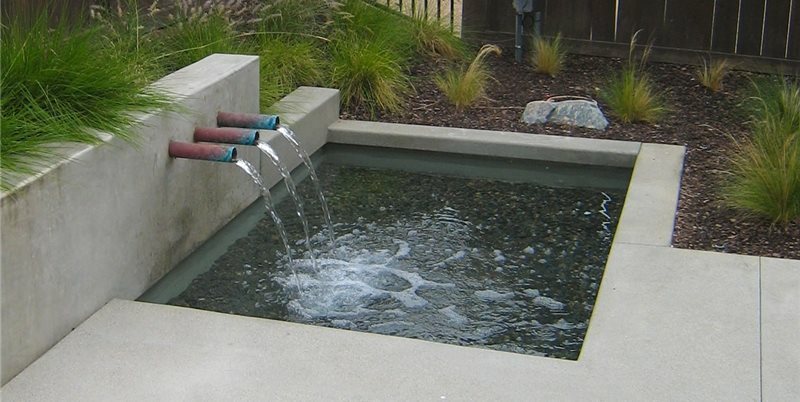 The three basic options for pond liners (flexible, preformed and poured concrete) and the best applications for each type. Tips for growing aquatic pond plants that will help keep your pond in ecological balance without chemicals or expensive equipment. 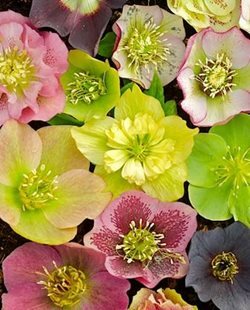 The various types of aquatic pond plants and the role each one plays in pond design. 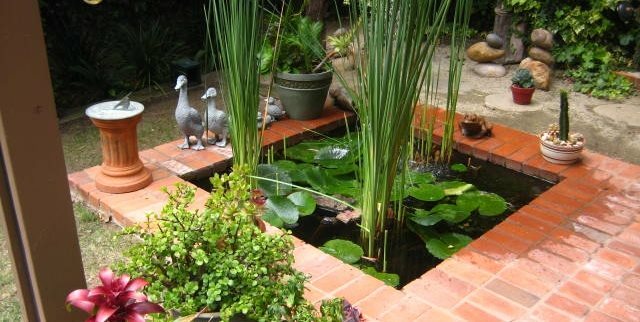 Ideas for lighting a backyard pond to create dramatic effects, highlight certain features of a pond, and ensure safety. How to use underwater lighting in a pond to highlight fountains, sculptures and other special features. 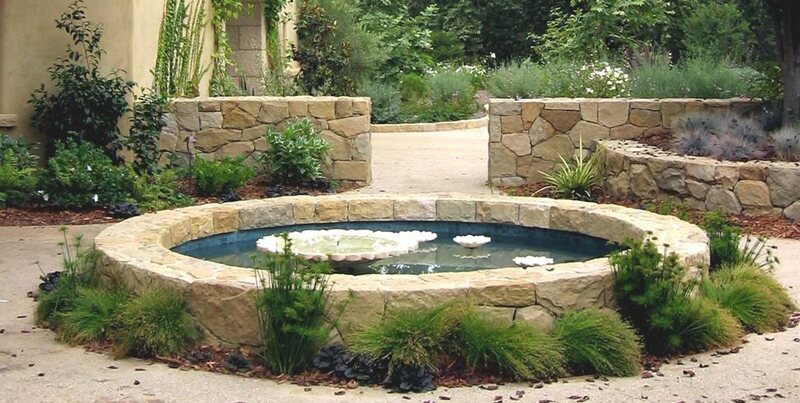 Before installing a pond, it's important to remember that no pond will be maintenance free. However, upkeep can be minimized with good design and construction.